I’m always quick to point out to people that G1 Bumblebee and Cliffjumper do not transform into VW Beatles and Porsches, but actually transform into Penny Racer Super Deforms of them. To that end, I’ve always been a fan of the Chibli deform style of toy. 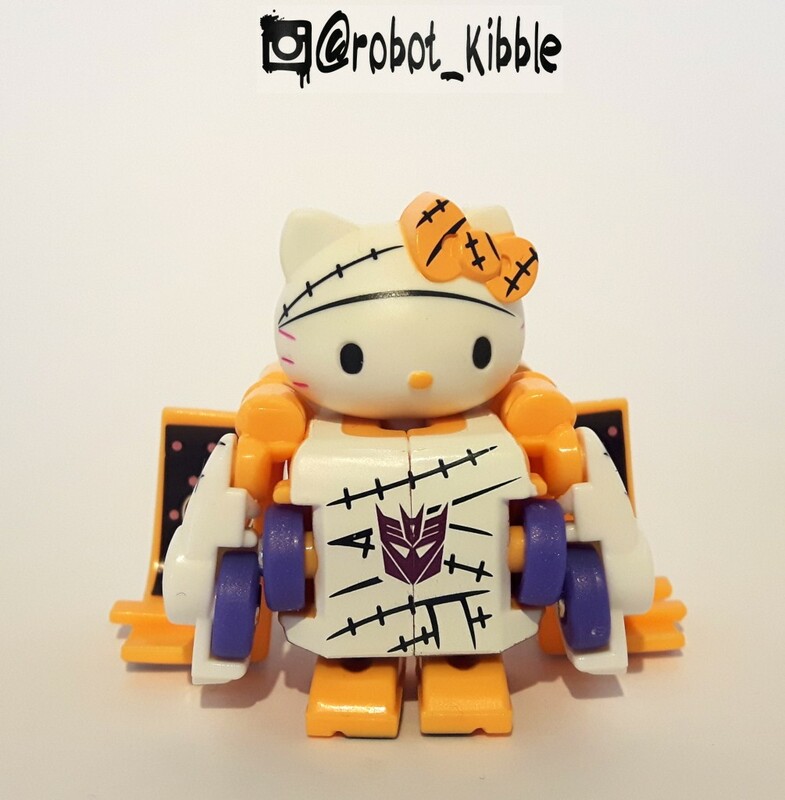 Enter Takara with their Cute Transformers line (Q-Ts… geddit!?!). I wasn’t completely sold on this line when they first appeared, mostly because 4 of the first 8 figures released were Bay-movie inspired, and as such they didn’t do much for me. I’m glad I took the punt on the others while I was in Hong Kong, as these are absolutely up my street. Measuring just shy of two inches long in vehicle mode, and standing roughly that high, deep and wide in robot mode, these figures have incredibly basic transformations, but thanks to the wonder of ball joints, have a surprising amount of poseability, however this poseability is restricted by the short “deform” legs and arms. 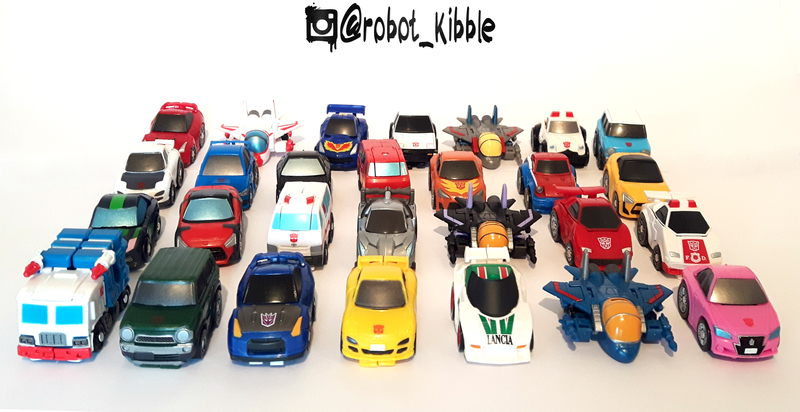 One of the wonderful things about this line is the licensing, as unlike Generations toys which take liberties with vehicle modes, these are all officially licensed alt. modes. 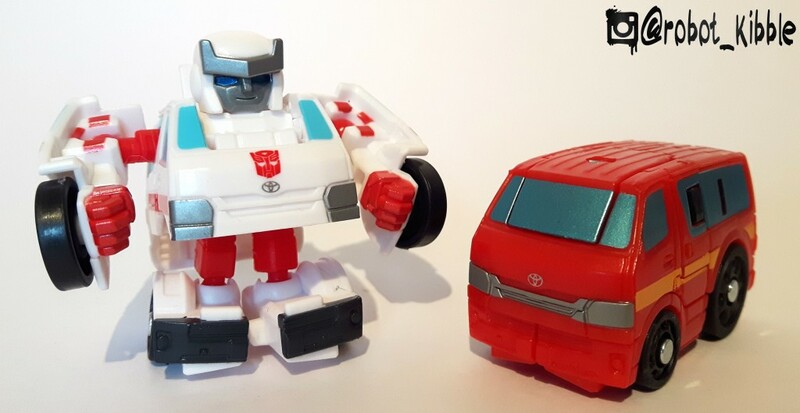 Well done to Takara for making the most of the licensing agreements; if you’re paying for the Lancia license to make MP Wheeljack, why not make a QT at the same time? 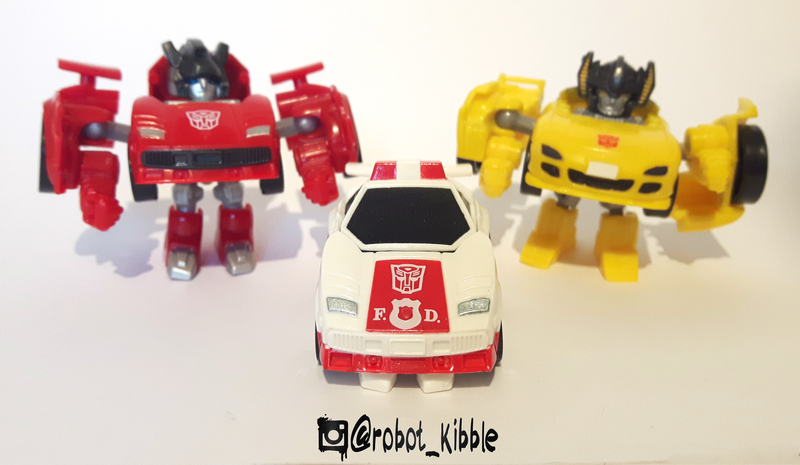 These were released in Asian territories at the tail-end of 2014, and are only available in the UK / US thanks to the awesome importers we have, who work hard to bring a full selection of TF stock to the West. 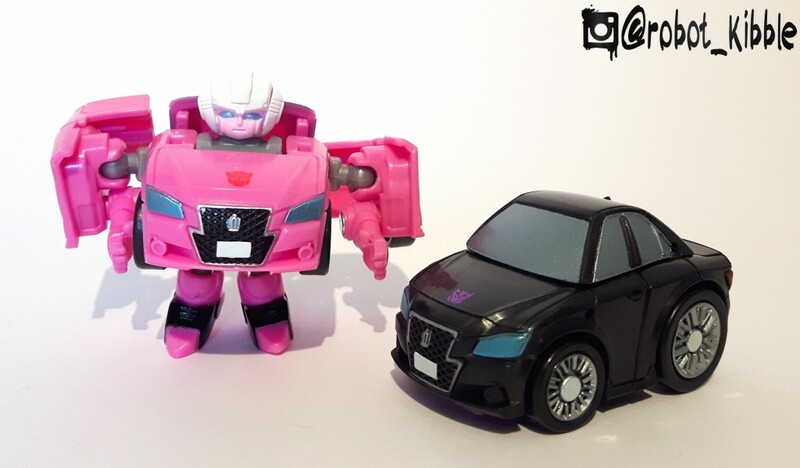 Because Takara are always looking to do the next fun thing, they’ve also released limited versions of these toys as crossovers. Similar to their licensing deal with Disney which saw Mickey Mouse, Donald Duck and Buzz Lightyear catching the transformation bug a few years back, now Hello Kitty, Snoopy and Neon Genesis are in on the act, all of them having received the QT treatment in the Q-collaboration range (not a Star Trek Next Gen episode). Thus far there have been 10 waves of the standard range, releasing a total of 33 figures. 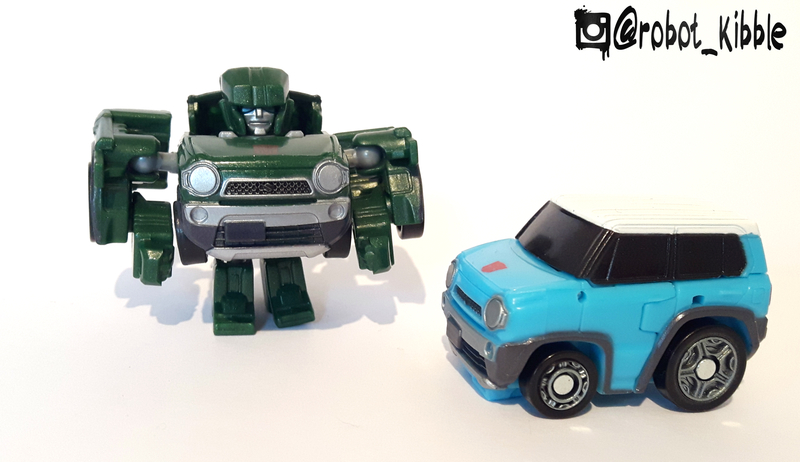 The range was replaced with the QTF line at the beginning of 2016, featuring mostly reissues (including very cool three packs of the main character as pictured above) and retools, but an all new mold in the shape of QTF Ironhide and Ratchet. 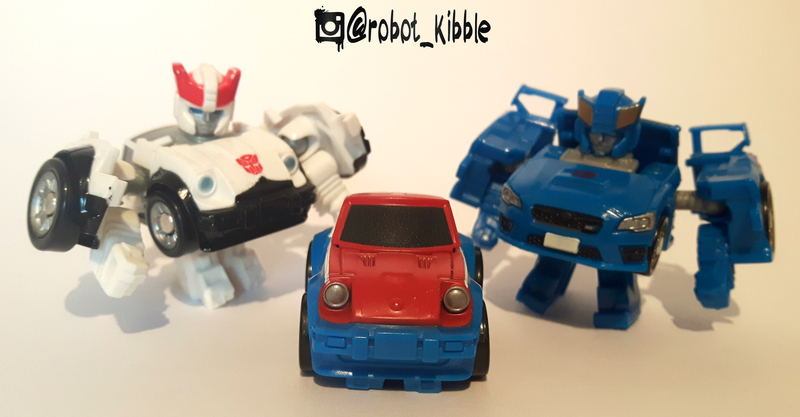 It’s a very fun and light-hearted toyline, backed up by a mobile phone game and a basic flash animated series called “Mystery of Convoy Returns” and followed by the Mel Brook’s-esque titled “The Road to Additional Popularity”. And then suddenly, that’s been it since March! I sincerely hope this line isn’t done, as there are loads more characters they could include in the line, and I would like to see more characters from non-G1 sources get the treatment like Lockdown and Drift have received, characters such as Barricade, or Bulkhead. I would also like to see niche characters such as Bumper get the treatment, and I propose the Jazz mold pictured above as a donor mold! Jetfire and the Seekers – my favourite 80s band! All of the transformations are very similar across the line, with the exception of the Seekers (how tempting to head swap the Starscream and Jetfire to make SG Starscream? 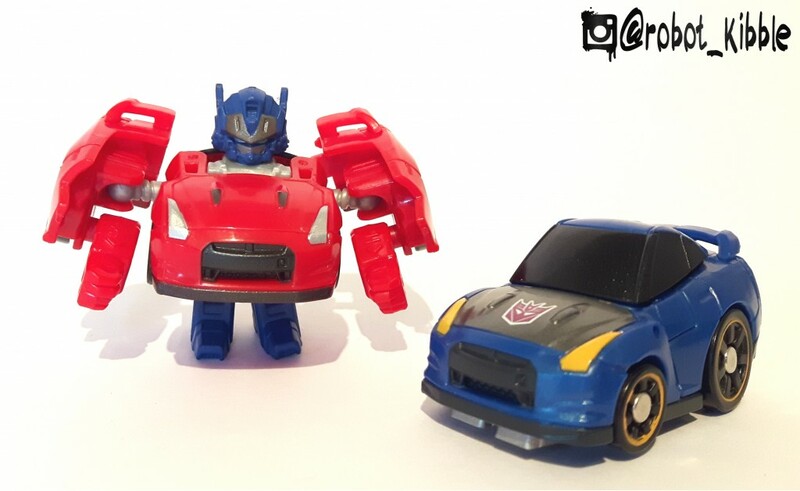 ), and the recent Ironhide mold having a slightly more involved transformation. 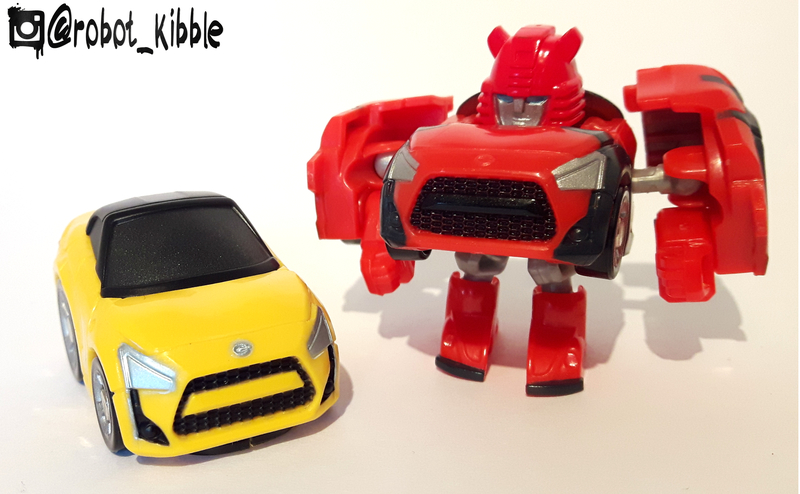 They have done a different Convoy not pictured above, with the more traditional cab and trailer mold, but honestly, I like the idea of him as a car with the rest of his team-mates, sort of like in Binaltech and Alternity. They’ve also done the obligatory black repaint as well, this time using the Bay-movie Western Star 4900SB tractor version. 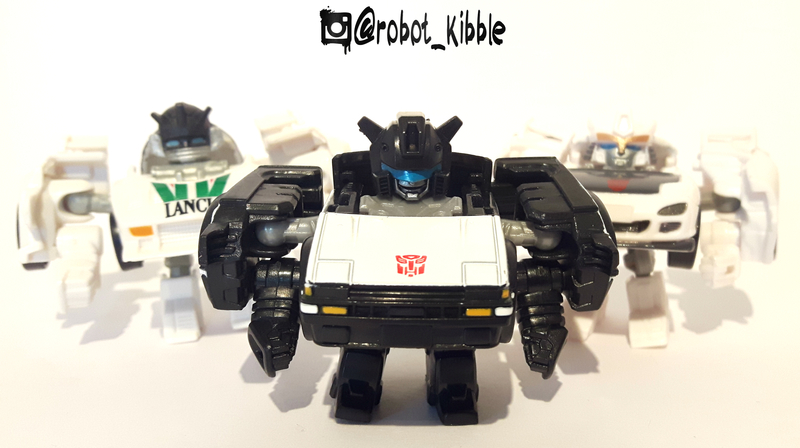 You may notice above what looks to be two Smokescreens, however the one homaging Binaltech Smokescreen is actually considered Bluestreak for this range. 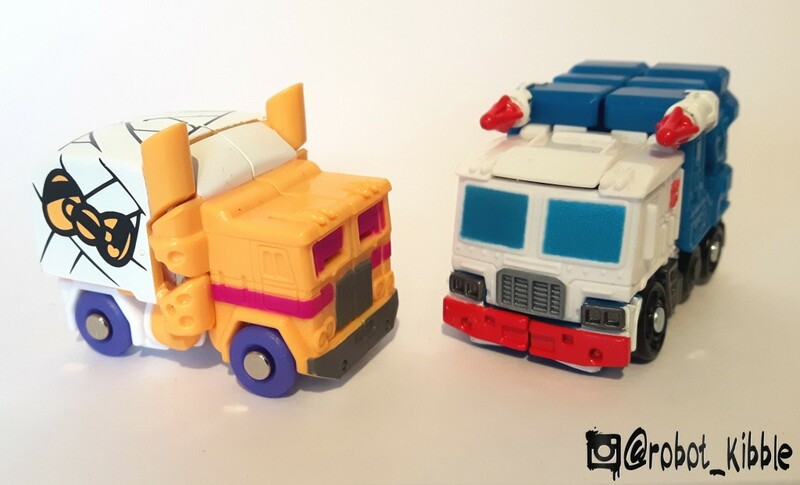 Its a nice way of keeping G1 fans happy, but also paying tribute to the Subara guys, who really helped the Binaltech line launch with a bang. As with every line these days, there are lots and lots of retools and reworking of the molds to make as many characters as possible. I’m okay with that, as Takara do a good job of mixing and matching vehicles to character types as best as they can. There are some odd choices, such as making Sunstreaker a Mazda RX-7, but I guess it’s nicer than ANOTHER Countach. Here’s the gang. I should point out that Tracks is a Chevrolet Corvette C7, as he didn’t get his own picture. And that’s about all there is to say about these guys, other than I implore you to check them out sometime, as they really are a lot of fun. Some of these are currently in stock right here, keep an eye on the Kapow page and social media for updates to the line! Thanks for reading as always!